Cellular communication is critically important in normal human physiology and is dysregulated in a variety of pathological states. As cellular receptors for hormones, neurotransmitters, proteins, and even photons, 7TM receptors are highly versatile signaling molecules. We aim to understand how these receptors recognize extracellular cues and translate this chemical information into distinct conformations responsible for signaling. Our efforts leverage a number of techniques in protein biochemistry and biophysics, including X-ray crystallography, cryo electron microscopy, NMR, EPR and fluorescence spectroscopy, protein engineering, and receptor pharmacology. We envision that a deeper understanding of these signaling molecules may enable tailored therapeutics capable of selectively engaging specific intracellular pathways and that these novel signaling outputs may yield novel biological outcomes. 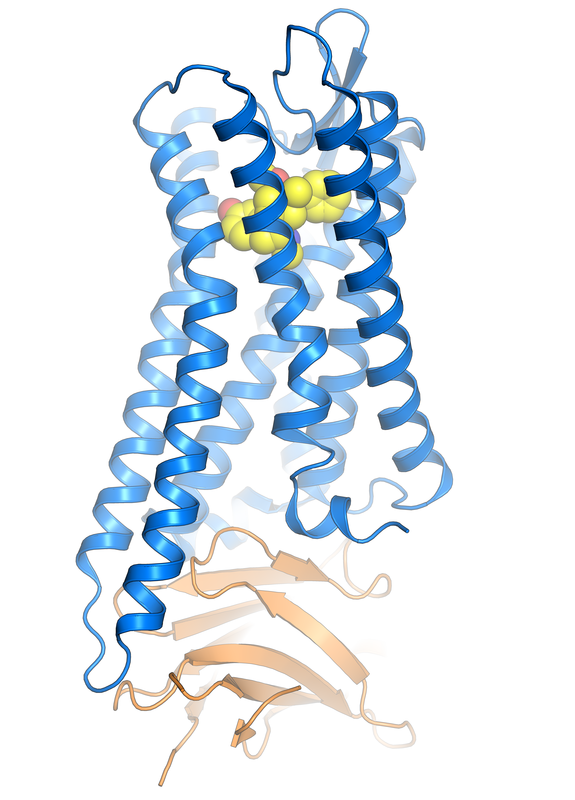 In addition to GPCRs and 7TM receptors, the lab is beginning to examine other transmembrane proteins important in human biology. 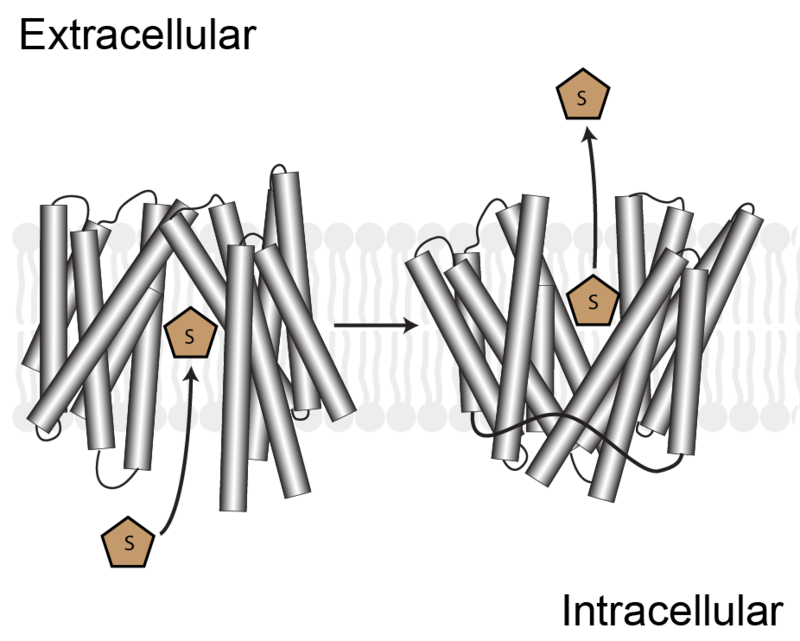 Unlike GPCRs, which all share a common fold, membrane transporters belong to a broad range of families and the molecular details of transport function are unique for each family. 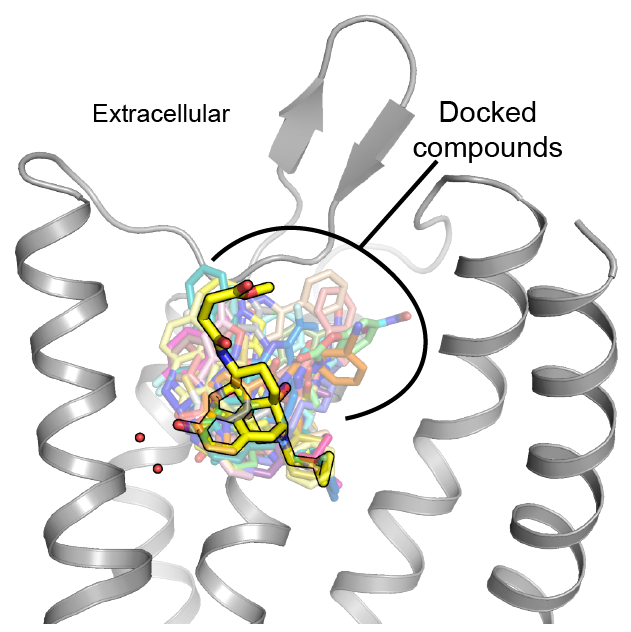 We are particularly interested in human transporters within the Major Facilitator Superfamily and are leveraging our expertise in membrane protein biochemistry and pharmacology to understand how transporters function, how their activity is altered in disease states, and how it can be restored by pharmacological means. ​To attain the structural and biophysical goals outlined above, we utilize antibody fragments to stabilize transmembrane proteins in distinct conformations. We are developing novel synthetic antibody fragment libraries and expanding on existing protein engineering platforms to facilitate this process. In addition to enabling our structural efforts, we aim to utilize these antibody fragments to correlate structure at the microscopic level to function at the whole organism level. 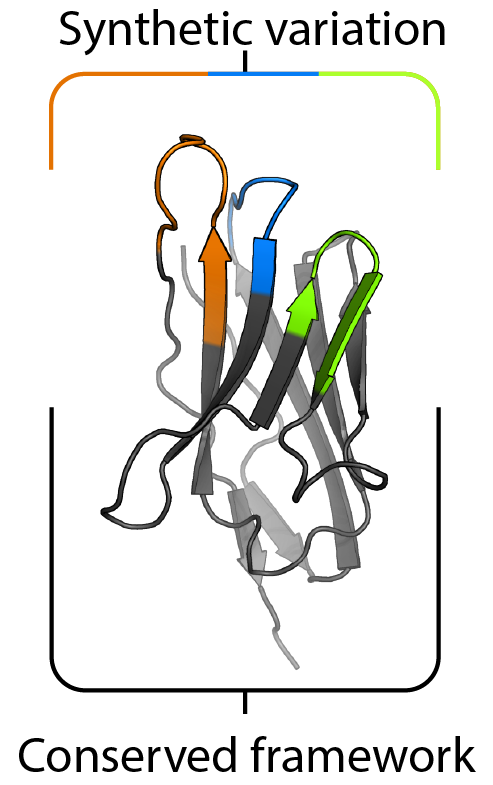 We are also interested in developing small molecule modulators of GPCR and transporter function. As part of a highly collaborative effort, we previously identified a novel μ opioid receptor agonist using computational docking and structure-guided optimization. This molecule induces analgesia with considerably fewer side effects than common opioids like morphine. We aim to continue to leverage our structural and biophysical insights to identify novel probes of transmembrane protein signaling. As with our novel opioid, we anticipate that these molecules will both serve as tools to interrogate signaling and as therapeutic leads in themselves.